Known locally as 'Lost Key', Perdido Key condos are found on a delightful barrier island community between Gulf Shores, Alabama and Pensacola, Florida. This unique, 16-mile long natural finger of land is largely protected by federal and state preserves, and as a result, Perdido Key condos are highly sought-after among property buyers. Those seeking a perfect beach retreat will find an enticing range of immaculate condominiums with breathtaking views, dotted along this beautiful stretch of Gulf coastline. Buyers will also discover a handful of fine custom-built houses in Perdido Key that would make great family homes or wonderful vacation properties. Known for its natural beauty, Perdido Key Real Estate includes a number of condo developments that are ideal for the discerning buyer. Many Perdido Key Condos feature high-end finishes, excellent amenities and views, as well as access to gorgeous private beaches. Condominium developments include La Riva, Marseilles, La Belle Maison, Capri, Sea Watch, Mediterranean, and Perdido Grande. Current Perdido Key condo listings are displayed below. Looking for a specific condo property? You can also search for Perdido Key condos by development. Click to read more about Perdido Key condos for sale. Sign up now for FREE for complete access to our Perdido Key real estate listings, including detailed property specs, area maps, photos and more! Registration also enables you to bookmark your favorite Perdido Key condominiums, share listings with friends & family, and save your preferred search parameters to save you time on your next visit. Check out Perdido Key real estate and discover a place that has all you need when it comes to a great lifestyle. For shopping, the Villagio Perdido is a great place to shop and eat. In fact, there are lots of great restaurants to choose from including the highly-rated Sunset Grille (located on the water) and The Rib Shak. Residents also enjoy getting out for a round of golf at Lost Key Golf Course or exploring around Perdido Key State Park. 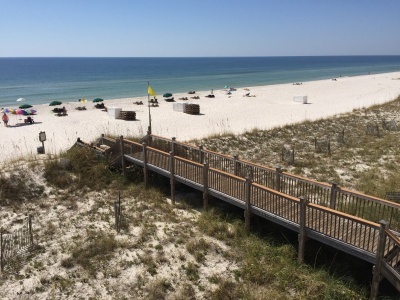 With many highly popular condo developments dominating the Perdido Key real estate market, finding a desirable Gulf Coast property that suits your needs shouldn't be a problem! From spacious luxury suites with gorgeous Gulf views and a host of excellent on-site amenities, to amazing waterfront gated complexes positively filled with stunning features, you are sure to discover the ideal vacation home, primary residence, or investment property that you're looking for. For more information about Perdido Key condos and real estate, please contact the Gatti Team today.